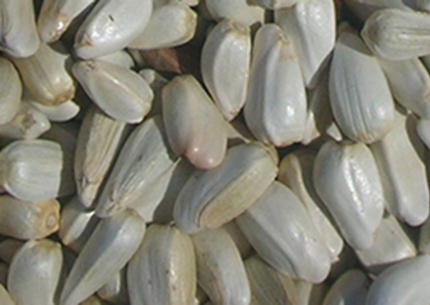 Safflower is a large white seed with a shell. It is appealing to most birds, but it is an acquired taste. Most jays, House Sparrows, European Starlings, and squirrels don't like safflower. If all else fails keeping the squirrels out of your feeder you can switch to safflower seed as long as you don't mix it with anything else. It is the favorite seed of the Oak Titmouse.